We interrupt this blog to bring you a special announcement on the latest and greatest in law firm marketing. As you can guess from the picture to the right, my answer is not about phony press releases like this that are little more than advertisements with links to obtain Google juice (this link is coded “No follow” to avoid that problem). And it isn’t about creating fake law blogs, or flawgs (a great portmanteau), in order to create empty content that Google indexes in hopes to game search engines so that potential clients will find you. And it isn’t about amassing gazillions of Twitter followers with less-than-candid personal profiles. It isn’t about outsourcing marketing so that others can leave comment spam on blogs in the name of the law firm. No, I am here to announce that the best attorney marketing — other than the obvious one of doing a good job for your clients, who in turn refer you to others, a tactic that seems to get overlooked by the marketeers — is the tactic that is close to home. Do something in your community. There are approximately one gazillion ways to do this. Being involved in the community isn’t a bad way to have people learn who you are and what you do while also providing muscle, brains or perhaps some financial support so that kids can, for example, take part in the national pastime. It’s the same approach used by generations of professionals and businesses of all stripes. That’s right, this year’s winner of the best marketing technique is the same one I discussed back in 2010 when I got disgusted by all the marketeers pimping the “leads” they could get me for new cases from their attorney search services. As I’ve told more than one cold-caller: I don’t have leads, I have clients. Humans are not commodities to be bought and traded. I like to think of my version of marketing as an all-around win-win. It sure beats placing your firm name over a urinal. 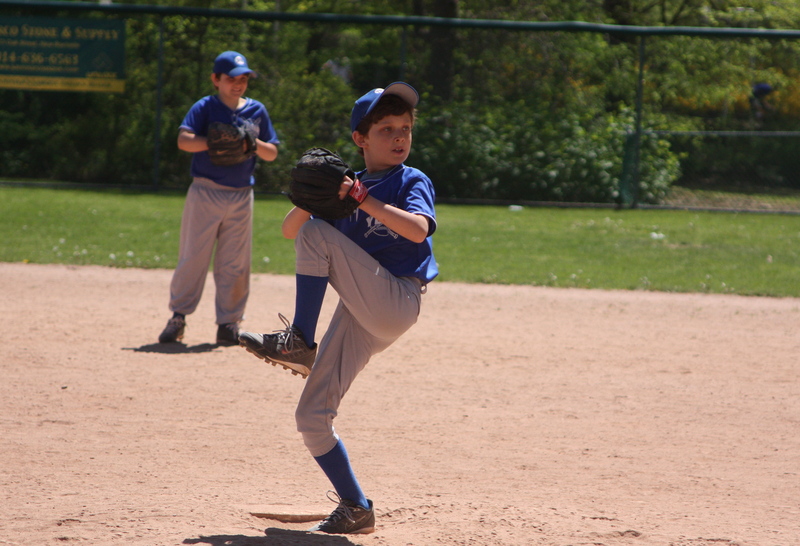 And, by the way, since I know you were wondering, the kid on the mound to the left is the same one previously featured with his skateboard. He done good this weekend. Thanks for asking. Hi Eric, I always enjoy your comments and I think the reason is that you show that attorneys are human beings who have opinions and standards that are not solely based on the almighty dollar. 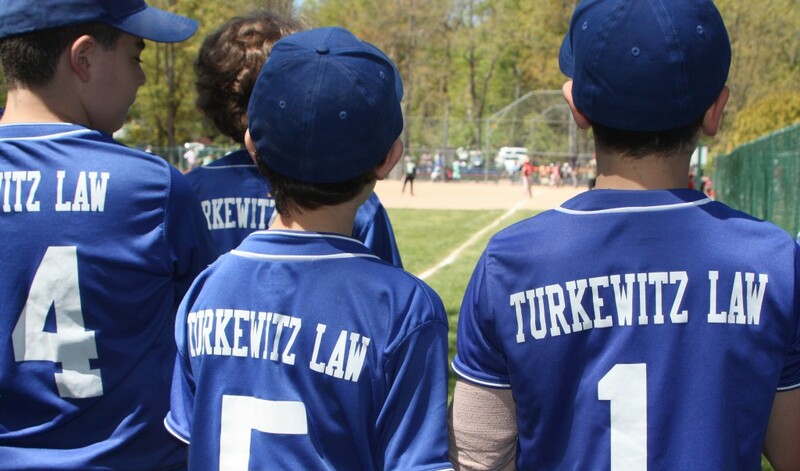 Is the team actually named after your firm (eg the “Turkewitz Law Palsgrafs”)? Thank you Kathy. I try my best to put some personal perspective in my posts. Mike: no, the team has a real name. But they put the sponsor names on the shirts because, we’ll, local leagues like this need the cash to run if they want to keep it affordable for the kids. Stop contributing meaningful, useful, and thoughtful pieces to the blogsphere, Eric. It’s all about SEO, bro. While I very much echo your general thoughts, I find most attorneys are still unwilling to invest the time and effort required to make an effective web marketing (or any marking campaign) effective. Most lawyers that I come in contact with are always looking for a quick fix for their marketing needs. As long as this mentality exists– we’ll still see guys hawking leads for the latest pharma recall. Not all web marketers put junk out there for you. Maybe you’ve had some bad encounters or heard of some, but not all web marketers are like that. However, I agree, any personal marketing in the community is great stuff. One thing you can do if you want to find out about bad lawyer web sites is to allow spam from “yodle.com”. They seem to be fairly enthusiastic about sending it, and I believe they make no charge for it. Having seen some of the web sites, I can only assume that they make no charge for those either, buty your milage may vary. They engage not only in comment spam but also in direct e-mail spam. This allows them to get their message out more effectively.